…the [black] men were sitting and chatting at a table for less than 15 minutes before employees of the store called the police. While both of the men left the store peacefully and without incident, they were nevertheless escorted out in handcuffs. Starbucks’ own left-leaning employees, it seems, called the cops on two black guys for “being black.” Apparently, Starbucks is such a “white thing” that the mere presence of two black guys sitting in a Starbucks restaurant waiting for a friend terrorizes left-leaning white employees who freak out and call the cops. P.S. 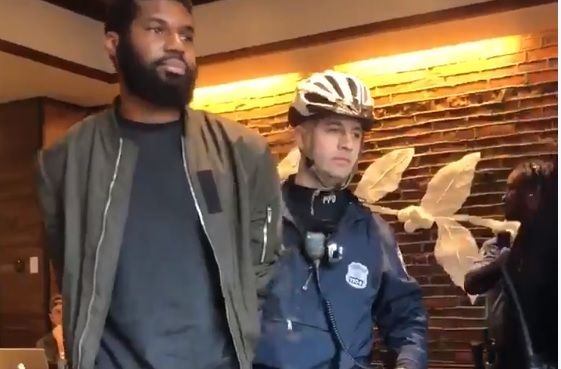 I personally want to commend the two black gentlemen who were put in handcuffs at Starbucks for keeping their cool and calmly walking out in handcuffs. They avoided what could have become an escalation, and they just earned themselves what will probably be a million-dollar settlement by not resisting arrest or becoming verbally abusive. What’s especially notable in all this is that over the last several years, Starbucks has promoted a “progressive” left-wing culture that claims to be rooted in “tolerance” but actually, of course, preaches hatred and intolerance (because that’s the core of Leftism these days). 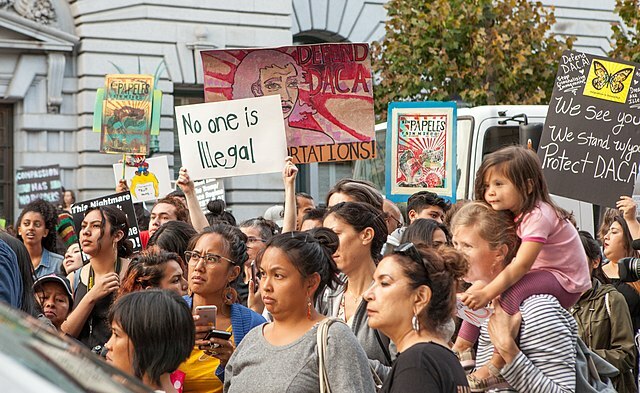 As with all such belief systems rooted in political correctness, demands for conformity and the complete lack of tolerance for anyone different from yourself, the “Left Cult” is now eating its own. Starbucks is being subjected to an exploding online boycott — #BoycottStarbucks — and the intense hatred of left-wing Starbucks ex-customers is on full display. Former Starbucks customers are deleting Starbucks apps and tweeting angry tweets full of profanity at the Starbucks corporation even though the local store employee obviously acted in a reckless manner that violated company policy. There’s no rationality in the attacks on the Starbucks corporation, but that doesn’t seem to matter. A rational leftist — if there is such a thing — would realize that this incident is the result of a single misguided employee of a local Starbucks shop. The Starbucks corporation obviously doesn’t train its employees to call the cops on black folks. The actions of this employee were no doubt violations of corporate policy. Yet because of the very same hysterical “progressivism” Starbucks has been pushing over the last several years, its own customers are now blaming the Starbucks corporation for the actions of an individual employee. Because rationality and logic have no place when hatred and rage are being whipped up by angry Leftists. Suddenly, Starbucks is getting a small taste of what the NRA deals with every single day, even as the NRA is technically the oldest civil rights organization in America. This isn’t a defense of Starbucks, by the way. The corporation has a long history of despicable anti-fair-trade practices and the use of animal products derived from GMO-fed ranch animals. This also isn’t a defense of the libtard employee who called the cops on the two black dudes. That employee should be immediately fired. In summary, this is a defense of individual liberty for people of all colors, races and religions. If two black dudes want to hang out in a Starbucks coffee shop, wait for their friend, then purchase paper cups full of snooty, over-priced, sugared-up “coffee” that’s actually closer to an ice cream shake, that’s their own business. They shouldn’t be placed in handcuffs by police and publicly shamed for merely being black, obviously. Conservatives, you see, “violate safe space policy” by sitting in a coffee shop, at least according to deranged, lunatic Leftists. It’s those same Leftists, we now know, who see two black guys as “scary” enough to actually call the police. So much for “tolerance,” huh? Ultimately, Starbucks is right now discovering that you can never be “progressive enough” for a deranged, irrational mob of lunatics, you see. Their anger and hatred can target any business, at any time, for any reason, without any rational reason at all. That’s why instead of promoting progressivism, I promote liberty. We should all be allowed to enter coffee shops, regardless of our politics, race, religion, skin color, sexual orientation or otherwise. Then again, I would never give a dime of profit to a left-wing corporate embarrassment like Starbucks, so my own personal boycott of them won’t be any different from every other day of the year. I’ve already boycotted Starbucks for life.